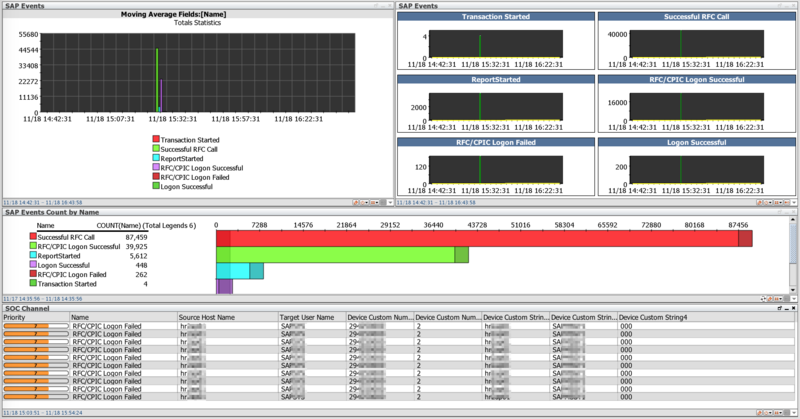 SAP Security Monitoring - is a specialized analytical Use Case for ArcSight. 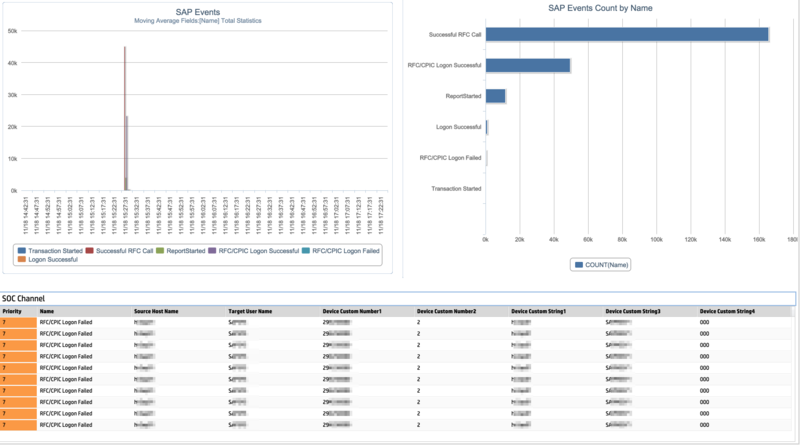 Use Case provides analysis and visualization of SAP standard security audit events (Security Audit Log, SM 18-19-20), events correlation with vulnerability data (if vulnerability scanners are used and vulnerability data is imported to SIEM), performs statistical analysis and profiling, detects abnormal deviations. 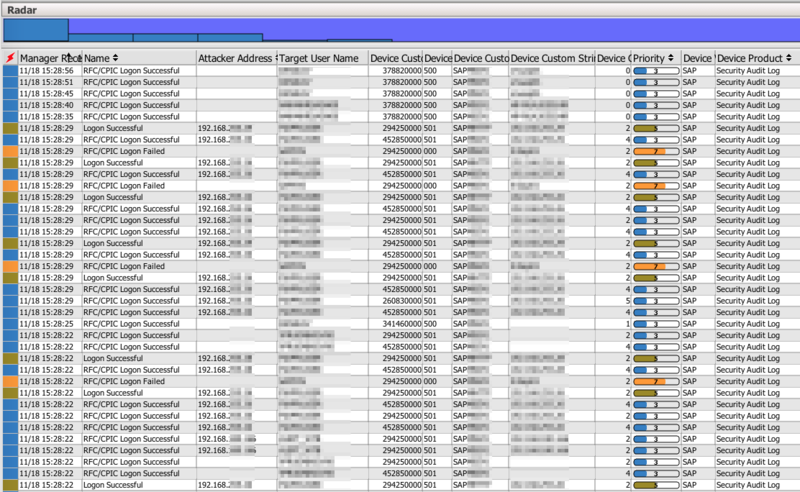 Use Case monitors security events in the areas of Authentication, User Authorizations, SAP System Security, Operation System Security. 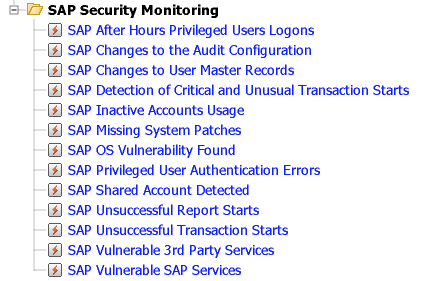 This case is recommended for use as a basis for monitoring of SAP security.